I am now on a schedule to visit Waco at least once a month. 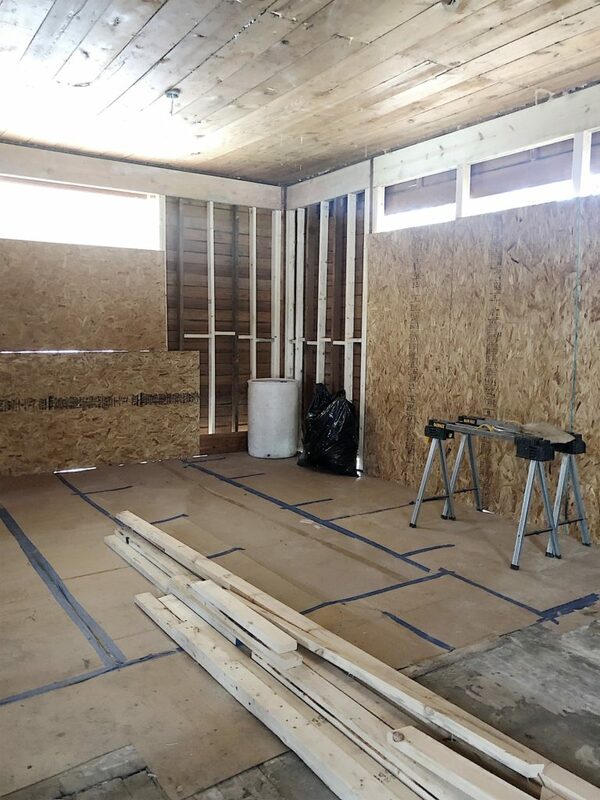 It’s hard to manage a remodel thousands of miles away and yet it seems that I spend at least a few hours a day on the project even when I am at home. Please know that I am enjoying every second of this. 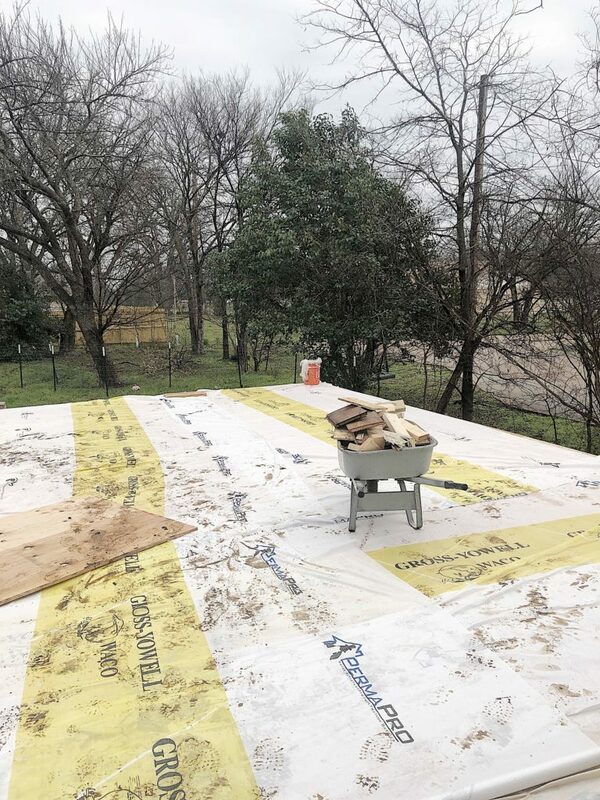 It is such a fun remodeling project! 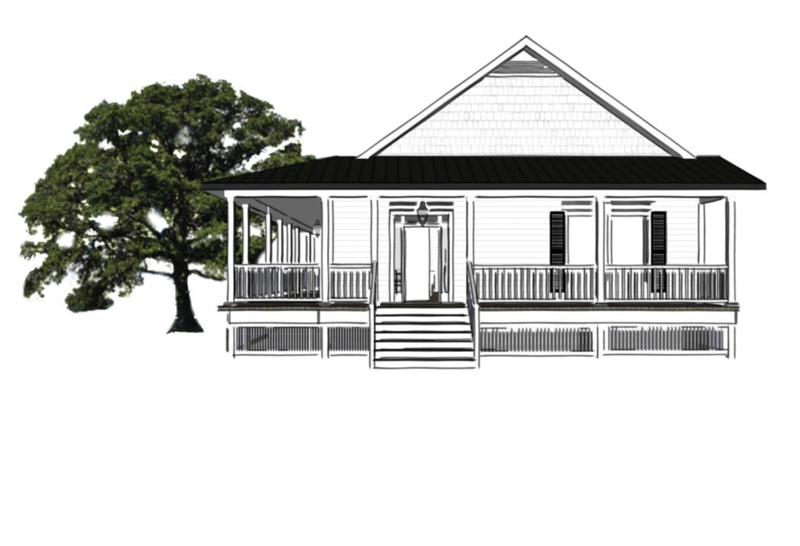 This is the rendering of the home, looking at the front porch. And here is how much we had progressed when I was in Waco three weeks ago. We are currently in the middle of the expansion. We added eleven feet along the back of the entire home plus we added a master bedroom and bath. 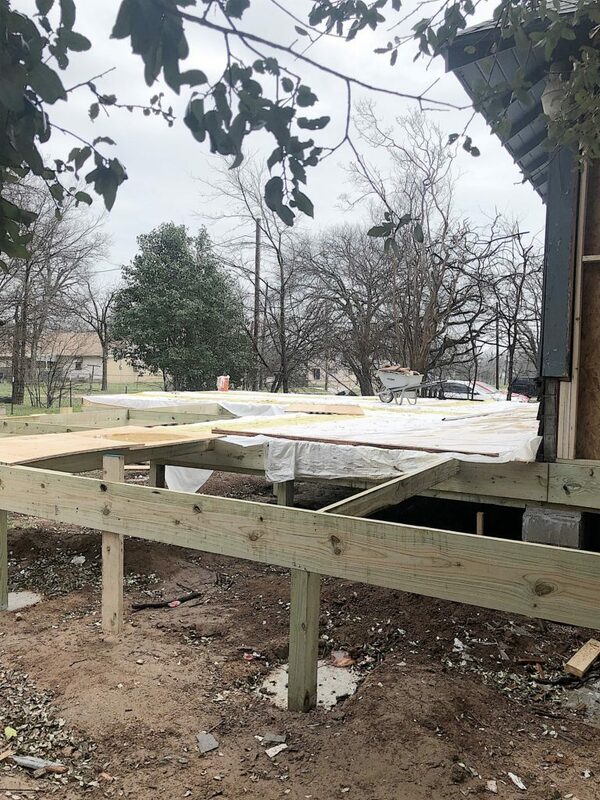 We also added the foundation and framing for the wrap around porch. The porch wraps from the front porch to the left side and around the back. This is the side elevation of the wrap around porch. The front door is on the right. 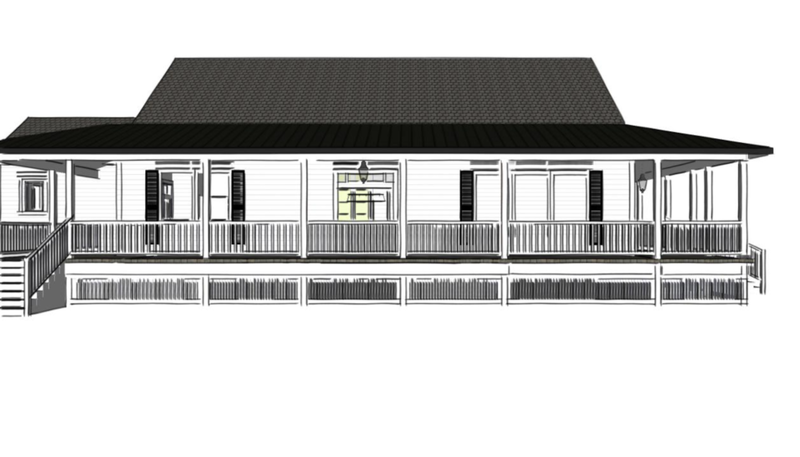 In the photo below you can see the addition, the master bedroom and the wrap around porch! This is a better view of the master bedroom. I know, it still needs walls. Minor detail. 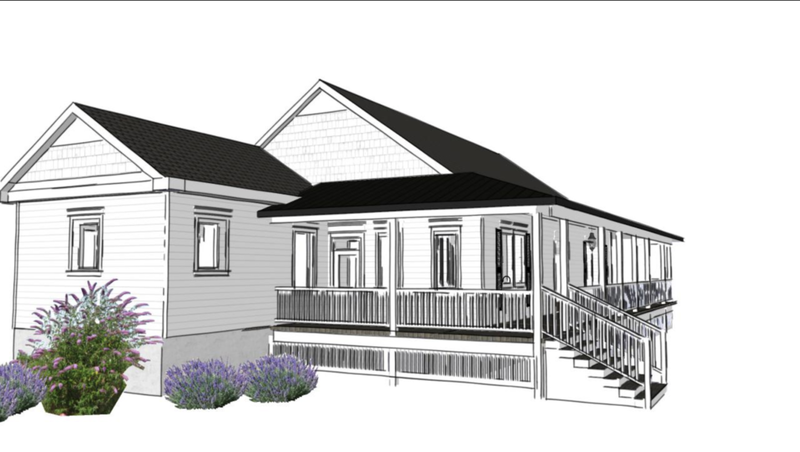 This is what the house will look like from the back, with the master bedroom (on the left), the addition and the wrap around porch. Ok, it’s time to move to the inside of the house. We have finalized all of the plans. 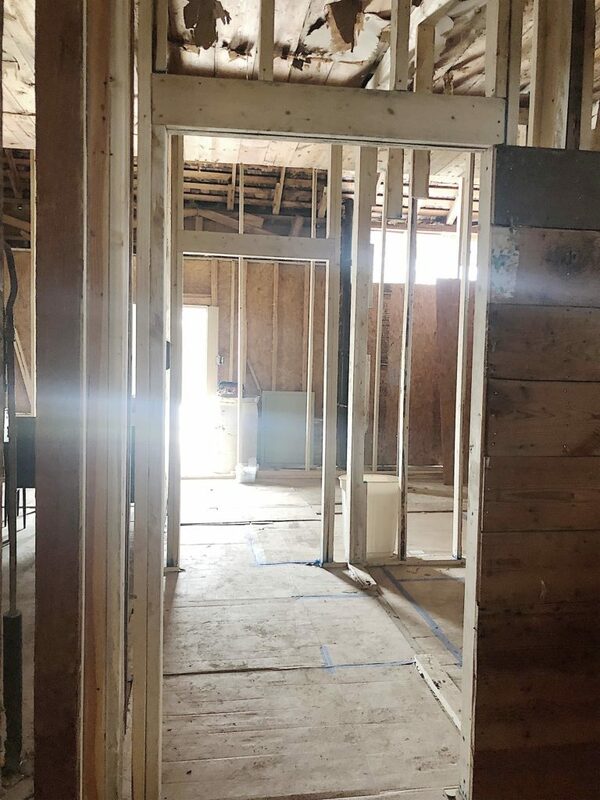 The inside of the home is waiting for windows and doors. I love the original shiplap on the ceilings. 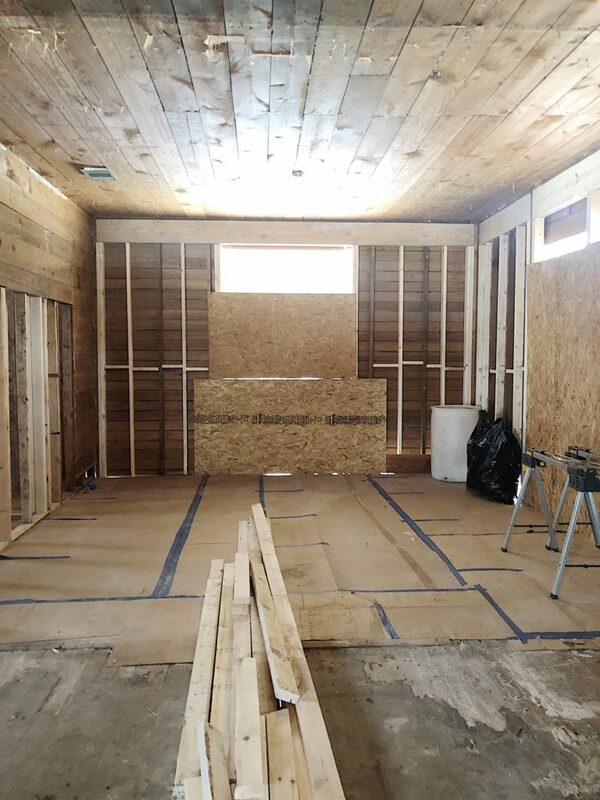 We are putting shiplap back on the walls in the main living areas. This photo is looking at the front door. Welcome to our living room. This is one of the three bedrooms in the home. Can you see the transoms above the doorways? And here is the kitchen! Isn’t it wonderful? Hahaha. I do love the eleven foot ceilings. I did buy a really cool vintage table that will be our island. We will have electricity on the island so I can have a lamp on the island, just like at home! The kitchen has no upper cabinets (just shelves on top and cabinets below) and I am going to buy an old pantry instead of having one built in. This is my favorite oak tree. It’s just beautiful and I love how the porch overlooks the tree! Sorry about the wood pile. 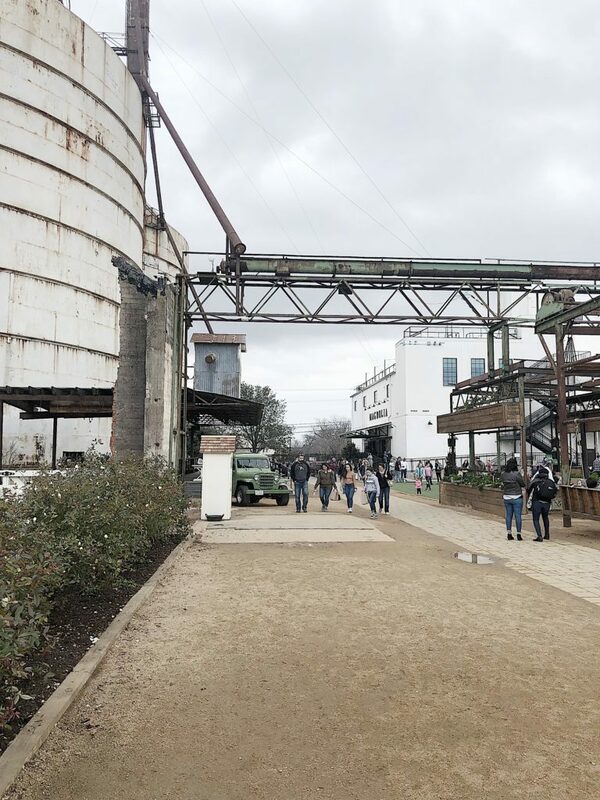 I spent half a day at the Silos at Magnolia. 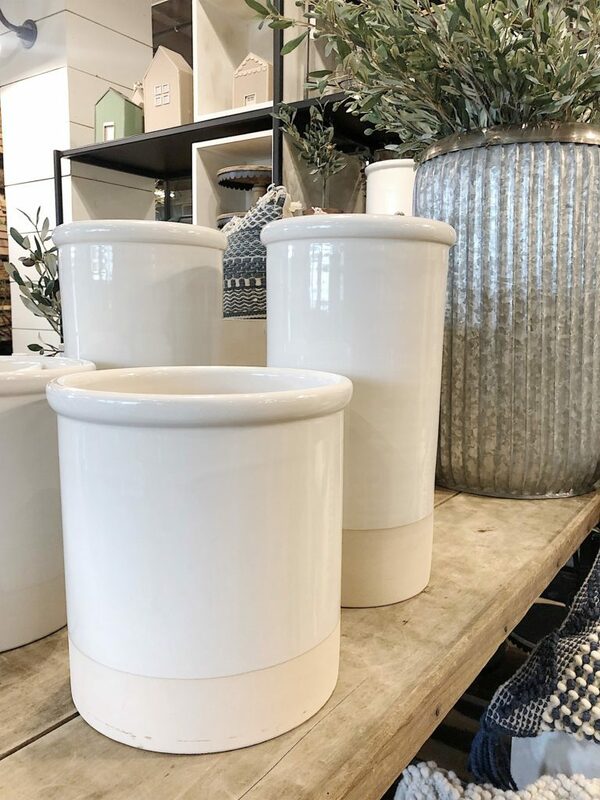 I took a few photos of the Magnolia Store and wanted to share a few of them with you. 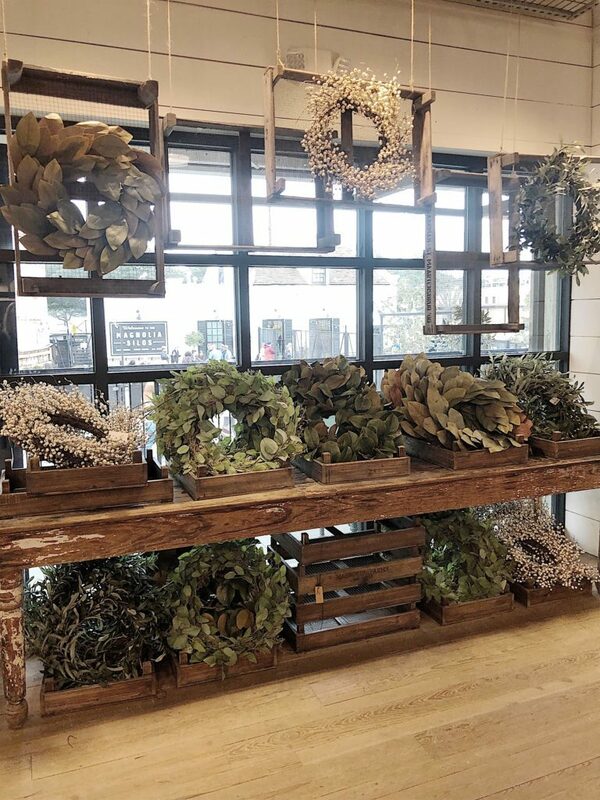 Look at this fabulous wreath display! I love these crocks! 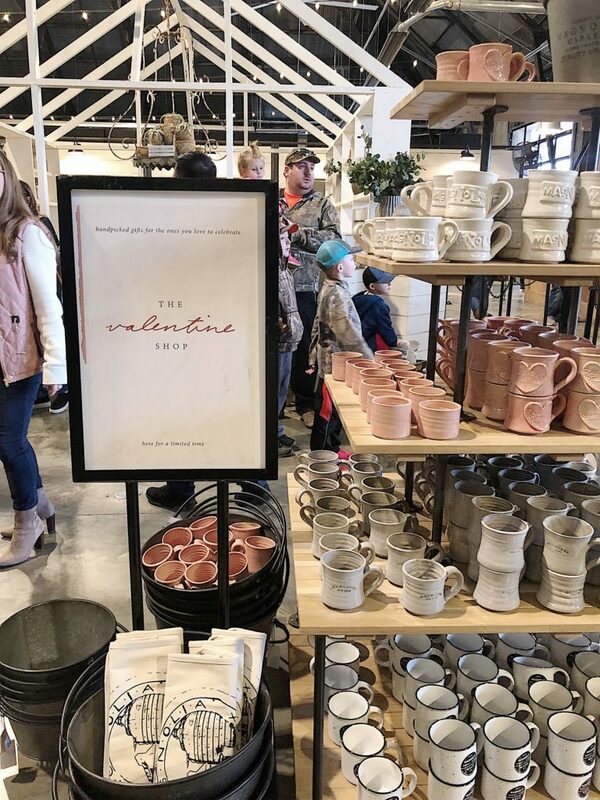 It’s hard to find the vintage ones so Joanna Gaines made new ones. That is brilliant. I love displays like this. 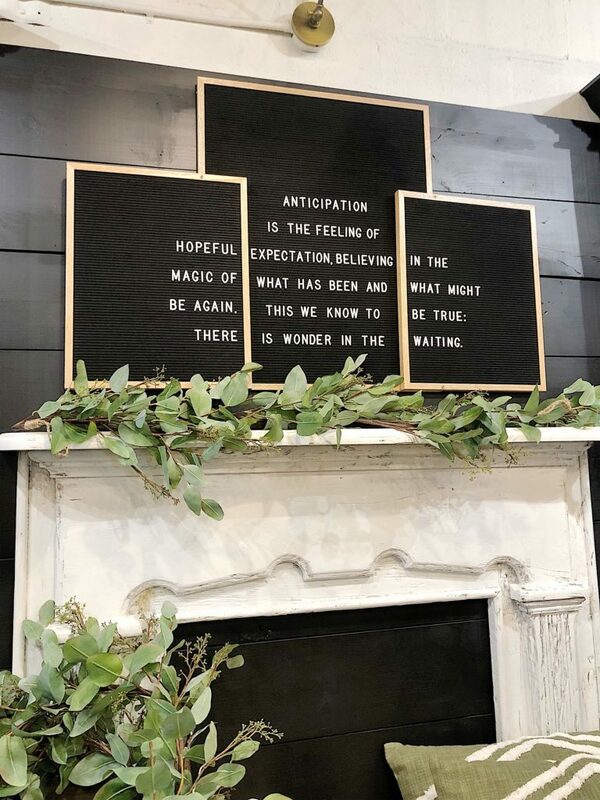 And look how clever they used these letter boards. The florals are beautiful. And faux. 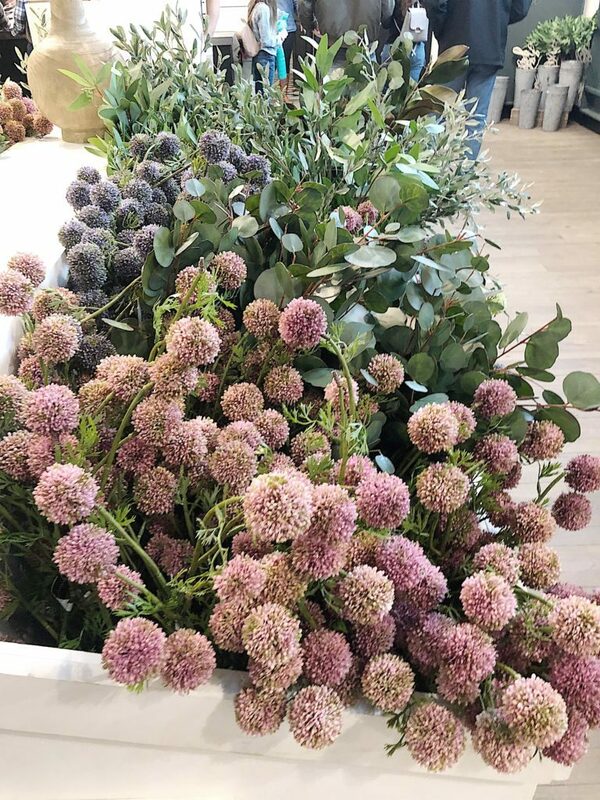 These are all for sale at Magnolia. 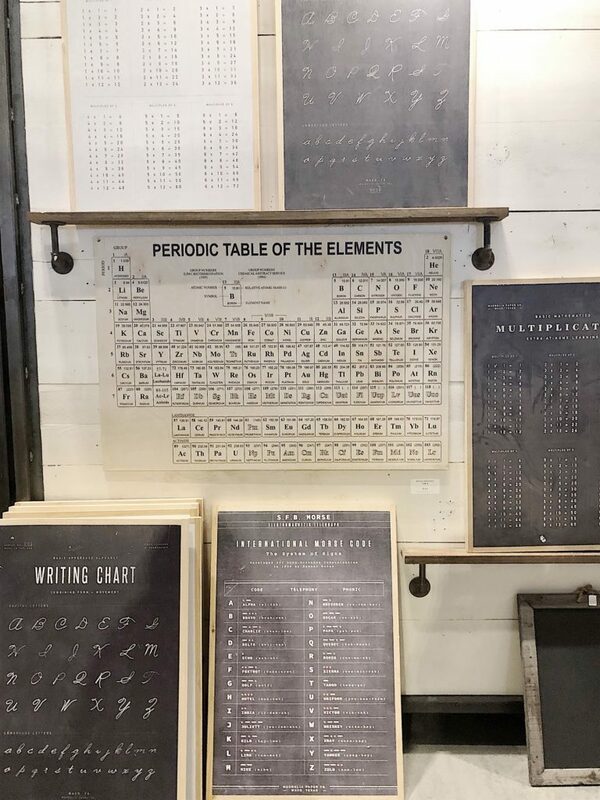 I love the periodic tables, morse code, and writing charts. This is a cute valentine display. 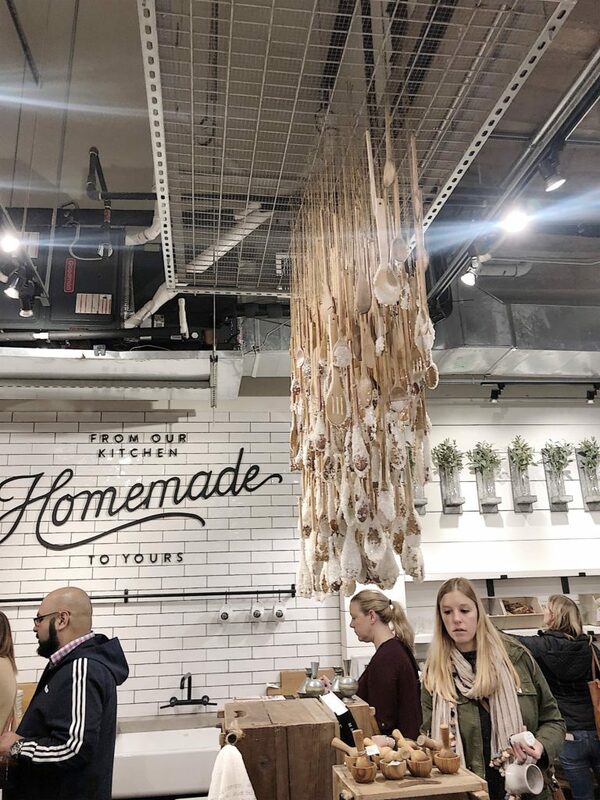 How about these spoons hanging from the ceiling? There are a lot of wonderful food trucks at the Silos. 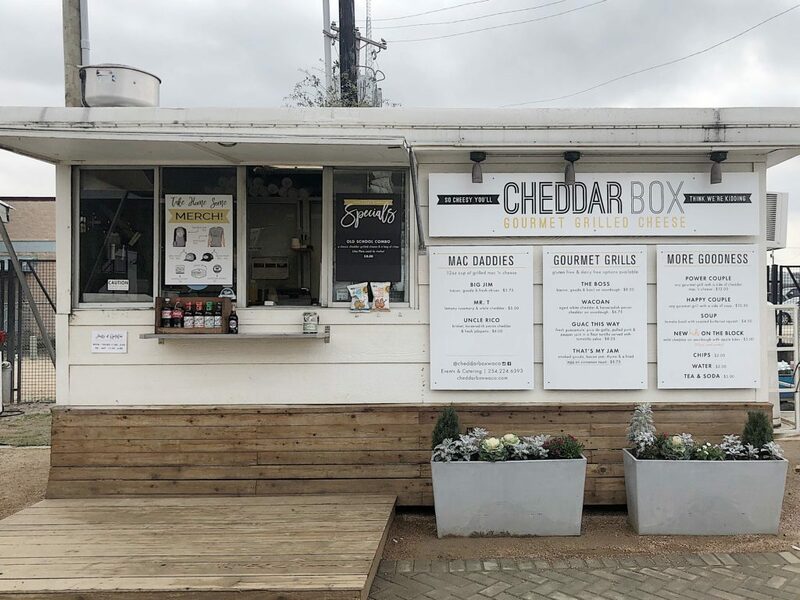 This one is my favorites and they have the best grilled cheese sandwiches I have ever had! I will be back in Waco in a few days. 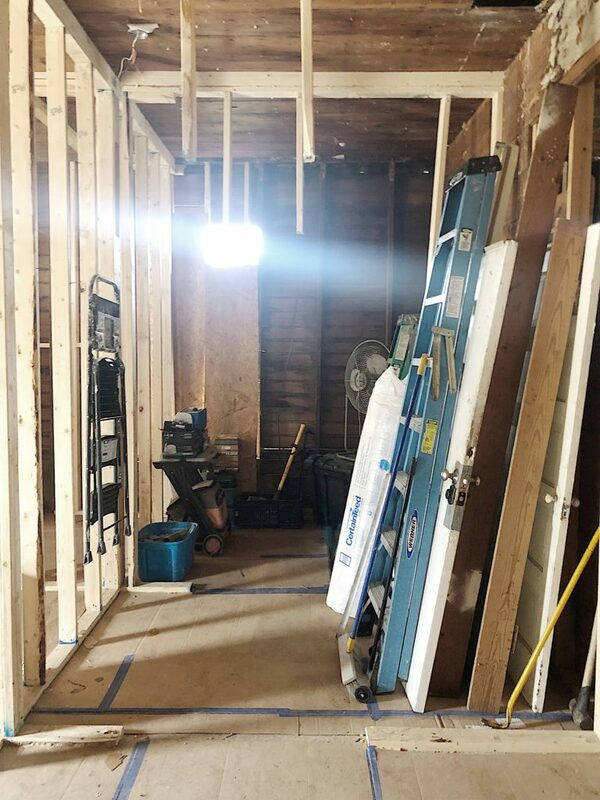 I promise to share updates on the home right away! Words of wisdom from a serial home preservationist : have your GC put a protective temp fence around that heritage oak tree and place mulch around it’s base. Your contractors should not be parking on the root system nor piling construction debris around it. Otherwise you will lose this other 100 year old asset! I was thinking the very same thing about that tree. I thought it was a requirement most cities have to protect heritage trees. 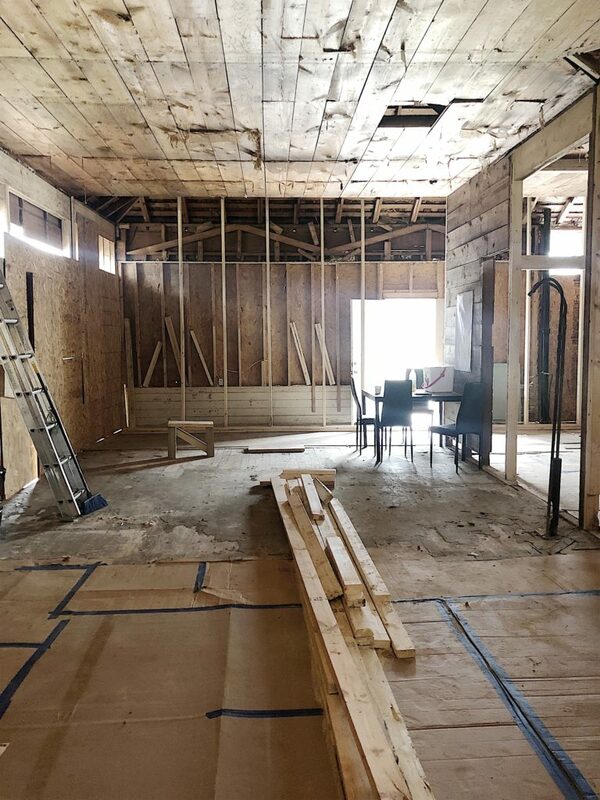 Love the shiplap ceiling. It sounds like it’s going to be wonderful when you are done with it. Can’t wait to see it! Agree about the oak tree! Also, the tree should be trimmed up, otherwise contractors could destroy lower hanging limbs with equipment. 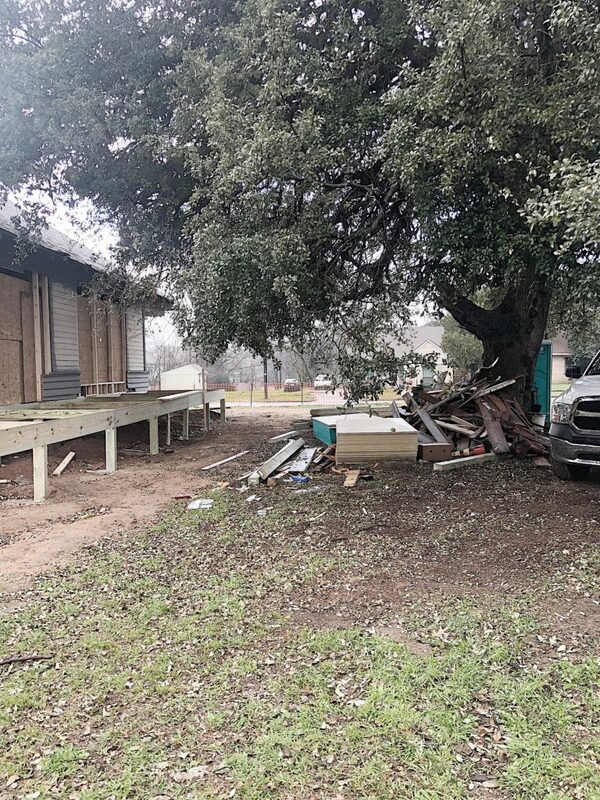 Have a professional Arborist tackle this chore, as Oak Wilt is a horrible disease in Texas that slowly kills our beautiful oak trees. It’s recommended to avoid trimming oak trees between Feb 1 & July 1, when the fungus and beetles are most active. Would hate to see this beauty affected. 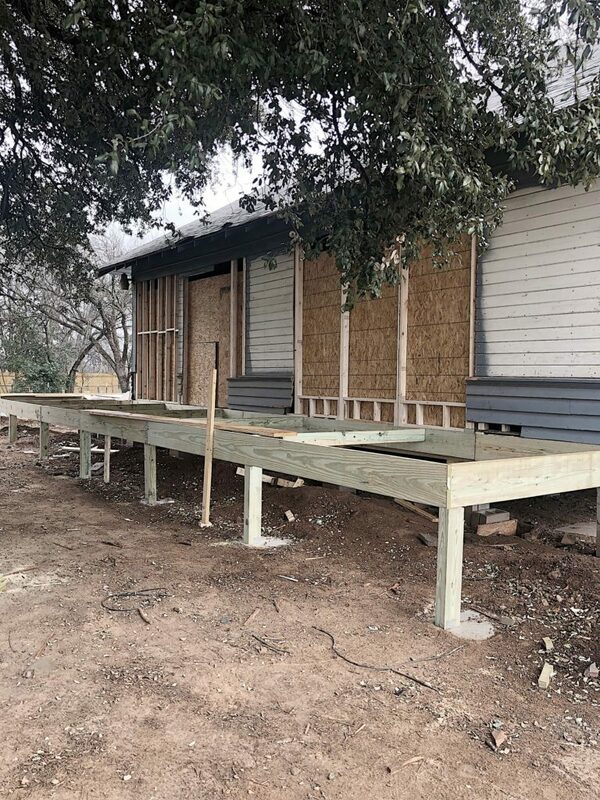 Can’t wait to see your progress on the house! Good Luck! Gosh Leslie such progress you are making. 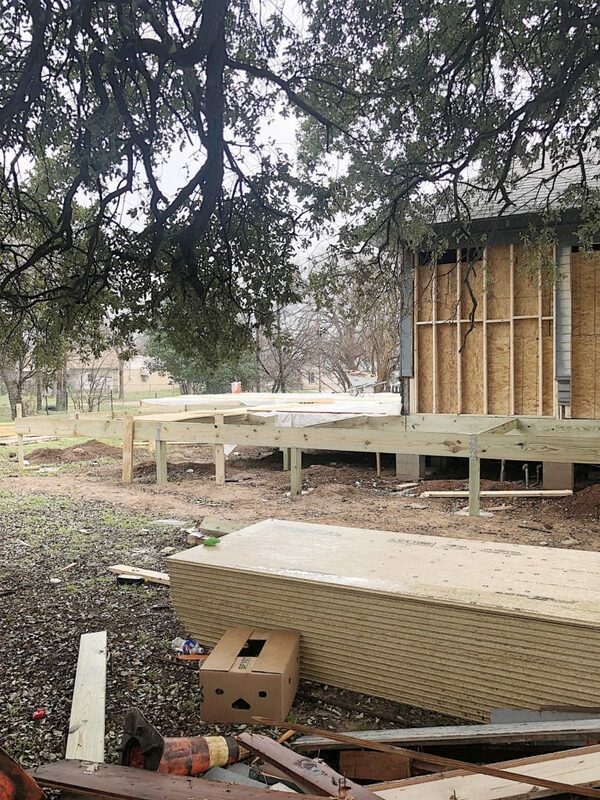 We bought a 3 acre lot in Wimberley full of these beautiful oak trees, luckily they left a spot for us to build a Austin stone house in the middle. Local builder knew of the requirements not to touch them. That oak wilt I remember really spread fast in the Fredricksberg area and to surrounding towns. It looks like everything is moving along. Can’t wait to see the finished project. Leslie, I know how exciting it is to see all of your ideas becoming real. O my gosh! Ha Ha!! It looks SO much better compared to the initial video!! 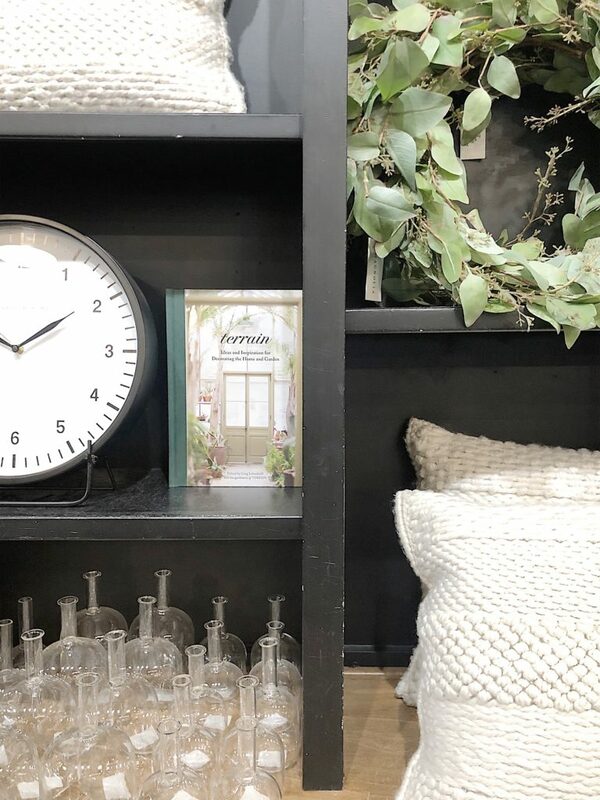 🙂 Thanks, too, for the store photos. Love the flowers! How exciting. Would love to see some of your inspiration pictures, particularly for the kitchen pantry furniture piece. I am starting a renovation on a house which is on the Natl. Historic Register in Houston Heights and want to respect the house but live in the present. I was going to mention the tree but several posters took care of that. We love our trees. Love the wrap around porch! 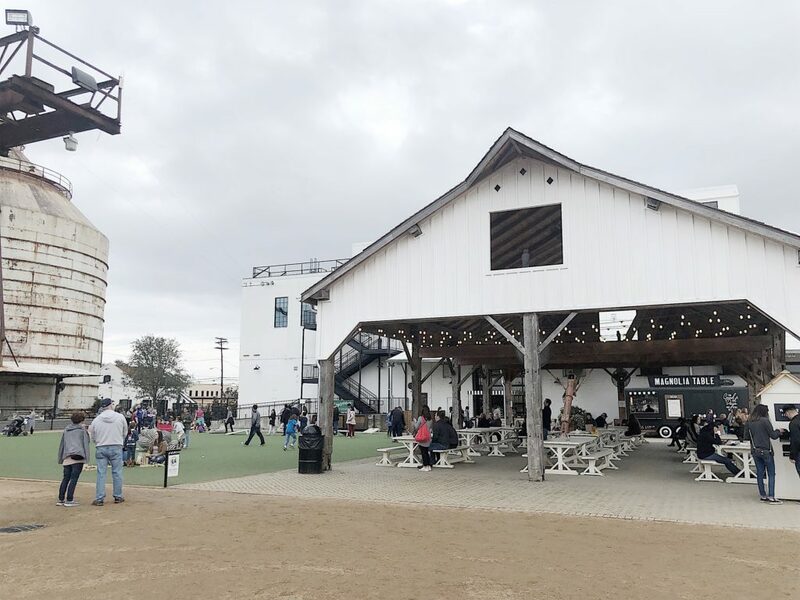 Thank you for a ‘look inside’ Magnolia Market! I always look for stories like this to follow as I am going through a smaller project on a slightly younger home. Looks like a great project! The house is going to be amazing! I can’t wait to see it when it’s finished. 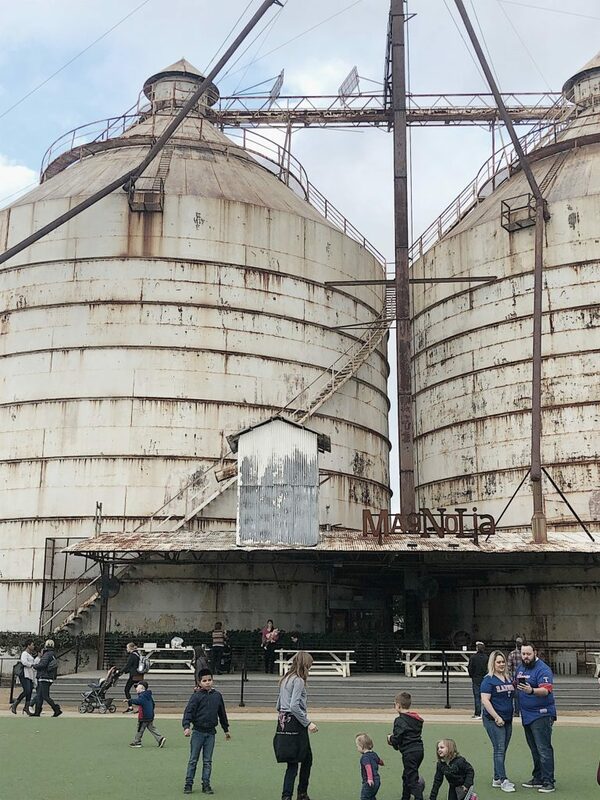 I’m travelling back to the US in June and made my brother promise to take me to the Silos while I’m there!